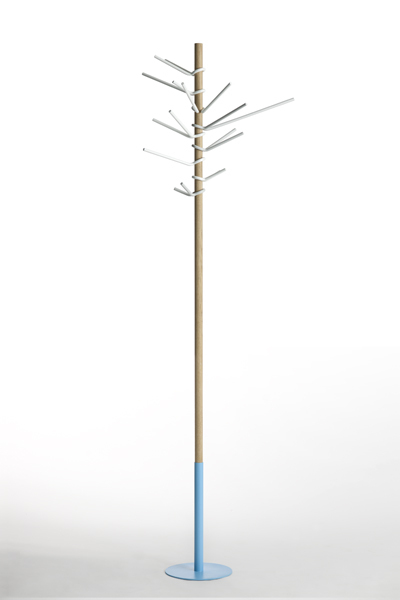 Tip is a coat stand that encourages cooperation. It relies on users to balance the garments hanging from it. The arms are free to move up and down, while the weight of the garment locks the arms in position. This gives the furniture a lively and playful expression. The construction is completely screwless and is based on the principle of "doing the most with the least."